Turkey has summoned Iran’s ambassador to Ankara over the controversy created by some Iranian media outlets on Erdogan’s recent visit to Saudi Arabia. Turkish Ministry of Foreign Affairs said in a statement Thursday the Iranian ambassador was summoned to the office over Iranian media broadcast that linked Erdogan’s visit to Saudi Arabia with the executions of 47 people there. 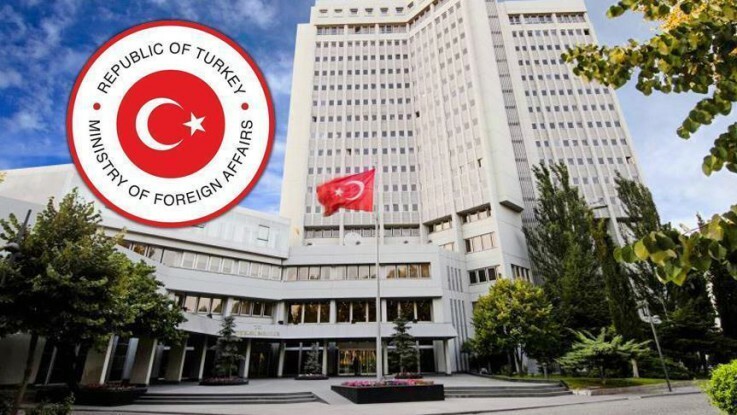 The statement condemned the stories run by the Iranian media and the accusations against Erdogan, and demanded an end to such publications and broadcast that aim to create a negative image of the Turkish president in the minds of Iranians. The Iranian ambassador was also told that the safety of foreign diplomatic missions was a responsibility of host countries; therefore, the attacks against Saudi Arabia’s embassy in Tehran and Consulate in Mashhad could not be explained and accepted. Turkish President Recep Tayyip Erdogan visited Saudi Arabia between Dec. 29 and Dec. 31. On Jan. 2, Saudi Arabia executed prominent Shia cleric Nimr Baqir al-Nimr, along with 46 others convicted of “terrorism”. Tehran warned that Saudi Arabia would pay a “steep price” for the cleric’s death, while Iranian protesters attacked Saudi diplomatic missions in Tehran and the Iranian city of Mashhad. On Jan. 3, Riyadh severed all diplomatic ties with Iran and gave Iranian diplomats 48 hours to leave the kingdom. On the same day, unidentified gunmen open fire on a police patrol in al-Nimr’s hometown in Saudi Arabia’s Qatif province, killing one person. Following Riyadh’s lead, Bahrain and Sudan cut diplomatic relations with the Islamic republic on Jan. 4, while the United Arab Emirates scaled down its diplomatic representation in Tehran. Meanwhile, a number of countries — including the U.S., the U.K., China and Turkey — urged both Saudi Arabia and Iran to show restraint amid the ongoing row.